What to get more done without feeling overwhelmed? When you work does it feel more like a slog? Do you find it hard, unsatisfying and you’re not quite sure why you are doing it? Your work doesn’t have to be that way. Work doesn’t have to be miserable to be considered work! If you want your work to be more effortless, more inspiring and more energizing, try stacking your motivation. I define “motivation” as something that causes you to take action without being asked to do so. We all have trouble getting stuff done from time to time, but what gets you to finally get it done? My most powerful motivator is being obligated to someone. When I know I have to get something done for someone else, I always make sure it gets done. I am motivated to avoid the feeling of letting someone else down. #1 Doing what you’re good at. We’re all good at something, even if you happen to believe that is not true for yourself right now. Mastering a skill is a powerful motivator. When you learn something, practice it over and over and get recognized for that skill by others, it motivates you to want to do it even more. It motivates you to want to improve. It motivates you to push through your struggles when you have setbacks. #2 Engaging in anything that energizes you. 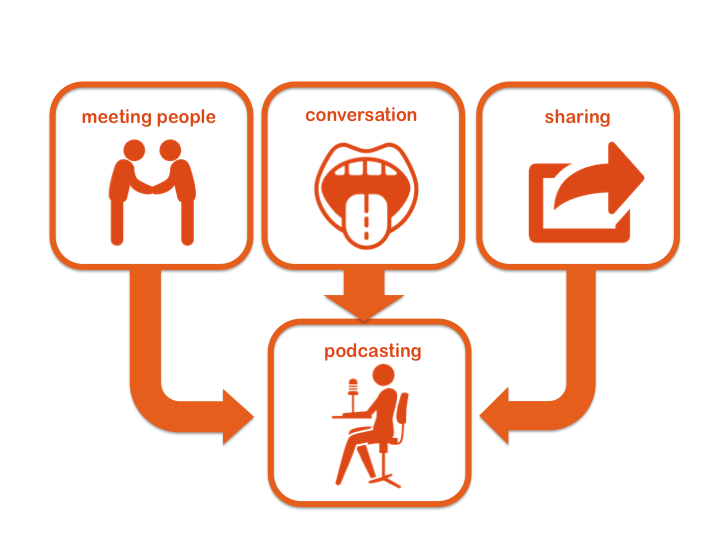 What do you love thinking about, talking about and doing? What do you enjoy so much you don’t even care if you get paid? What do you that not only energizes you, but you energize others when you talk about it or when you do it? That energy you feel and give to others is motivation in action! #3 Being asked for help. We all want to feel wanted. It’s a basic human need to desire acceptance. We evolved to work together, not alone. A request for help sparks us into action. You’ll be even more motivated when someone requests your expertise or because you are particularly good at something. That’s a great example of “stacking your motivation”! I’ve also learned these three motivators are more powerful than money for most people. Money might motivate you in the short-term, but it does a lousy job sustaining your motivation over the long-term. The people who end up the most successful are those who’ve learned to stack their motivation. They find opportunities to combine their three most powerful motivators to design work uniquely suited for them. 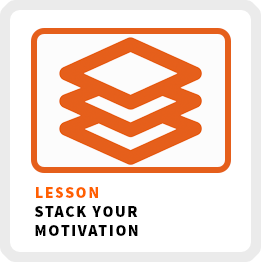 The more you can stack your motivations, the more you will find work that works for you. Your work will feel more effortless and more rewarding. Stacking your motivation is what designing your own work is all about! Do work that naturally motivates you, not what you think others expect of you. #1 Make a list of all your motivations. Not sure? Start journaling every day about what excites you! You can also ask your close friends, family members and colleagues what they think motivates you into action. #2 Identify your three most powerful motivators. What are the three most common motivators that keep popping up in all aspects of your life? You may have more than three motivations, but I want you to focus on the strongest three that spark you into action. #3 Align your motivations with your work. What are you already doing in your life and work that aligns with your three core motivations? How can you do more of that? If you aren’t doing anything that aligns with all three of your motivations, what are some new opportunities for you to consider? When you stack your motivation, you will be energized to create better work, to do it more effortlessly and for better pay. Give it a try it!